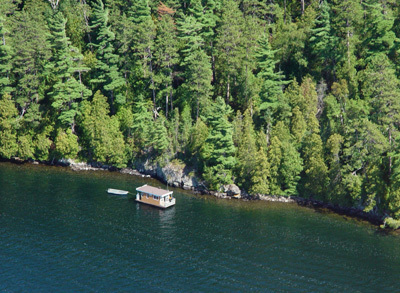 There isn't a more comfortable way to spend your Temagami houseboat vacation than on a Leisure Island houseboat. Load your gear and you're on your way to an experience you'll treasure for a lifetime. Cruise the lake, find a campsite, and pull up to shore. You'll never have to be far from your favorite fishing hole again! 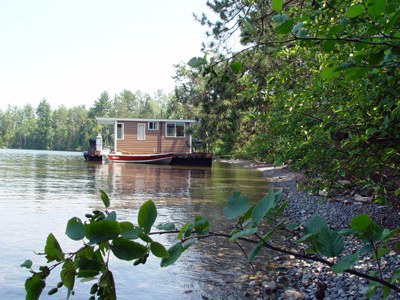 Each houseboat sleeps up to 5 people and includes a 3 burner cook stove, barbeque, heater, indoor toilet with holding tank, pots, pans, and dishes. Just bring food, sleeping bags, and your leisure gear and you're all set.